One of my absolute favorite gardening books is no longer available in print. 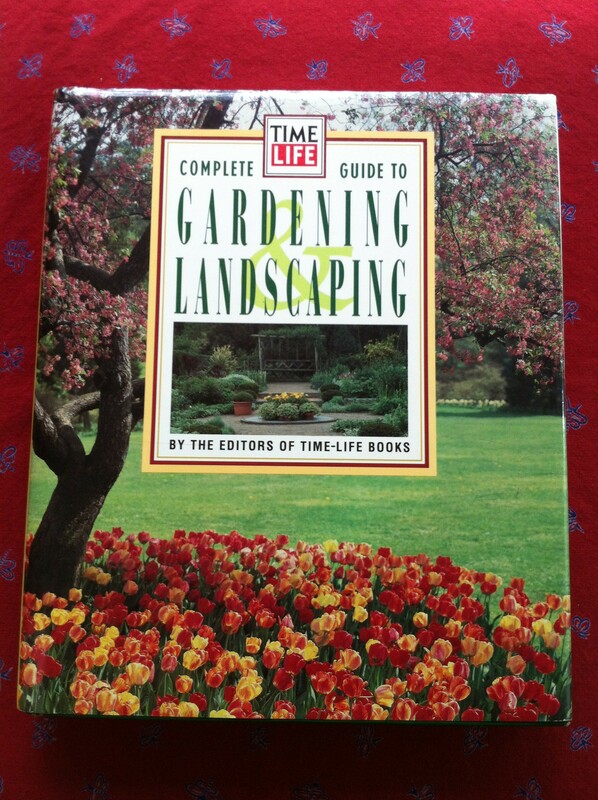 The TimeLife Complete Guide to Gardening and Landscaping book was my “first” and I still refer to it often — it’s my gardening bible. 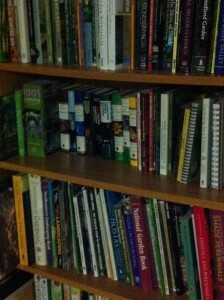 The rest of my collection includes reference books and a number of specialty books. 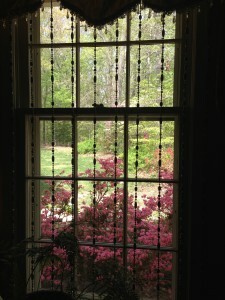 And I cherish several books on well-known gardens such as Monticello and Chanticleer. It’s fun to look at photos of spectacular gardens and learn about their histories. Just spending a few minutes paging through the gorgeous images of diverse gardens will calm your spirit and give you some ideas to implement in your own space. 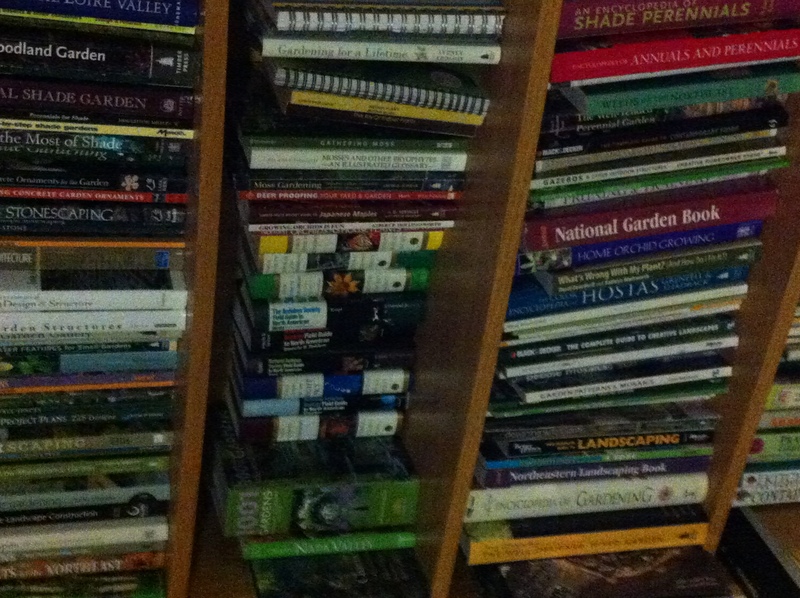 A peek at part of my gardening library! Most gardeners are learning new techniques and tricks on almost a daily basis. Most gardening basics are easily mastered. 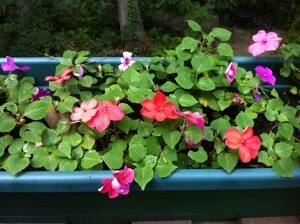 As you move along in your gardening life, your interests may change from colorful annuals to interesting foliage. Books can certainly help add to your knowledge. In researching the available gardening books, I was surprised to find a greater number of my favorites that are still in print, have been reissued, or are available from bookresellers. Quite a number of e-book editions are available for Kindle, Nook, iPad and other e-Readers. Remember that your local library may carry some unique gardening books and will likely provide local recommendations for your area and gardening zone. 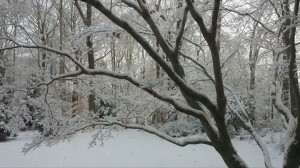 My “mid-Atlantic” specialty gardening books address the pros and cons of gardening in my area, including offering gardening calendars on what to do during each month to ensure gardening success. My favorite book on moss gardening allowed me to understand how to take a gardening “problem” and turn it into an asset. 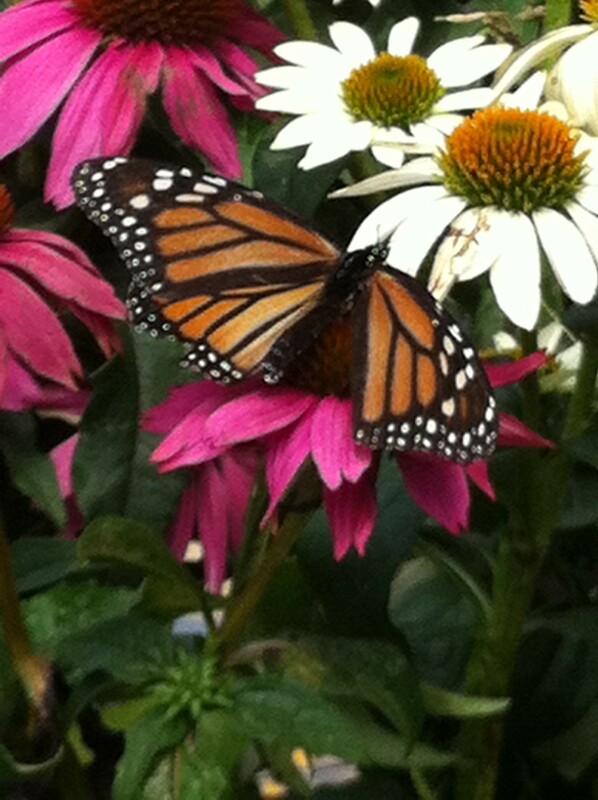 See my list of favorites on my new Garden Books page. Click on the book images to obtain a copy of your own. I encourage you to post comments about your favorite gardening books. What’s your favorite go-to gardening book? What is your favorite specialty gardening book? What’s your gardening bible? One of my favorites is “The Washington Post Garden Book: The Ultimate Guide to Gardening in Greater Washington and the Mid-Atlantic Region”. It’s about 15 years old now; wish he’d do an update. While I don’t agree with the author on a lot of his likes/dislikes, it’s a great resource for the Northern Virginia gardener. Thanks for posting the name of your favorite gardening book. I’ve added it to my Gardening Books page.